Follow this guide for the best WordPress SEO tips! WP is one of the easiest to use CMS, but out of the box, it’s not enough optimised for search engines. There are many ways to drive traffic to your new website including social marketing, but Search Engine Optimisation is one of the most effective, long lasting strategy. SEO uses techniques and optimisation to help your pages rank higher in search engines result pages. It doesn’t matter if you are a beginner or an advanced user, here we present some of the best WordPress SEO techniques and tips which you can implement easily to achieve higher keyword ranking positions. Your webhost determines the page speed of your website. Since 2016 one of Google’s ranking factor is speed, so it’s crucial to find a good and reliable also fast hosting service provider as possible. This secure protocol is officially a ranking factor, so it’s recommended to implement for a ranking advantage. Additionally there are case studies showing that having an SSL certificate can increase conversion rates. There are thousands of ready-made templates available for WordPress, your task is only to decide which suits best for your business model. Choose the one matching your business profile and which is already SEO optimised (implemented HTML markup, semantics and clean code), responsible (it means that the design can adjust your site according to the size of the user’s screen) and offers the best user experience (easy to navigate, fast loading, etc). Improving loading time will not only make your visitors happy, it will also affect your rankings in search engines. Since page loading speed is one of Google’s ranking criteria, it is a very important factor if you want your website appear at the top. There are countless third-party plugins you can use with WordPress, and what you would need are a caching plugin such as WP Fastest Cache, W3 Total Cache, WP Rocket, etc and an image optimiser plugin (to reduce the size of the images), these can help your website load faster. Permalinks are the URLs of your website pages and posts, like this one: https://chelseaseo.co.uk/web-design/ it is a good example, and here is a bad one: https://chelseaseo.co.uk/?p=1234, this second one is the default in WordPress. Fortunately it’s easy to change this URL structure, just go to the Settings/Permalinks menu. One of the most downloaded SEO plugins available today is Yoast SEO. This is a multi functional plugin that helps you optimise your content with amazing features such as page analysis, focus keyword, editing meta titles and meta description, snippet preview, social integration, XML sitemap generation and so on. One of the major ranking factor is the meta title, you can add it with the Yoast SEO plugin. Include your target keyword as early in the title as possible. Try to be creative and make an enticing title that gets people to click. Meta description summarizes the page’s content, and don’t forget that search engines show this text in their result pages, so it’s crucial to write a creative and engaging description so that your target users click on your link. It should be unique for all your pages and include the target keyword. The H1 tag is usually used for the title of a page/post and it’s generally the first header visible on a page. There are other heading styles that are smaller, like H2, H3 or H4 tags. Heading tags have influence on pages when it comes to ranking in Google. There are plugins which could help reduce the size of images to make your website load faster. When using photos on your post, always add relevant alt text for each of them, it helps provide Google with context about your images, and make your actual filenames relevant to what the image is. Setup your Google Search Console (formerly Webmaster Tools) to monitor many essential functions of your website, submit your sitemap, get messages from Google like if your website is hacked or has any problem with the pages, HTML improvements, review incoming links to your site, check for broken links, mobile usability check, etc. With Google Analytics you can better understand your traffic. Easily find out where your users are coming from, what devices they use, how long they are staying in your site, what are the most popular pages, etc. Implement social sharing buttons on your website which makes it easier for visitors to share the content. Also Google loves posts that are shared more times. Create profiles for your business (Facebook, Instagram, Twitter, etc) and link to your social media pages. If you want to outperform your competitors and rank high in your niche, you need to do keyword research. This means you have to find words and phrases that your target people might use in search engines, than optimise your content around those terms. Ideally you should choose keywords that have low to moderate competition but high enough search volume for your niche. Try to find long tail keywords, these are long, 4+ word phrases that are usually very specific and less competitive. Some popular tools to use are Google’s Keyword Planner, KWfinder, Ahrefs, SEMrush or Answer The Public. Google gives priority to websites that feature frequently published posts. Your content should be optimised for the needs of your audience, not for the search engines. Always try to write creative, helpful, informative and shareable articles. Create engaging content that appeals to the audience so they automatically share it. 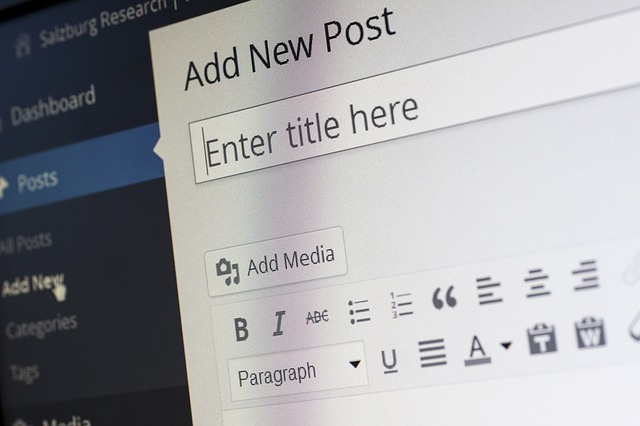 Longer posts are better performing in Google’s search results, so when creating content, try to make it as in-depth as possible and write at least 500 words but the longer the better. Your content should be high quality as factors like bounce rate, time on site, etc. all matter a lot. Use your target keywords and incorporate other related keywords (LSI keywords) too. Whenever you have the chance, link older content from your new posts you’ve published. It will help search engine bots to crawl your website deeper, and it might keep visitors on your site longer as they visit other pages, this reduces bounce rate and improves time on site, also helps search engines to understand the context of your page’s content by using related link text. Implement these steps for more visibility online, with these easy tips, your site could be rank higher in search engines. If you need help or need a more complex solution, take a look at our WordPress SEO package.